I drew a the group of Avengers that may not be as well known in this picture. And to top it off, I also drew it on some official work documents. I hope that my supervisors read these posts. 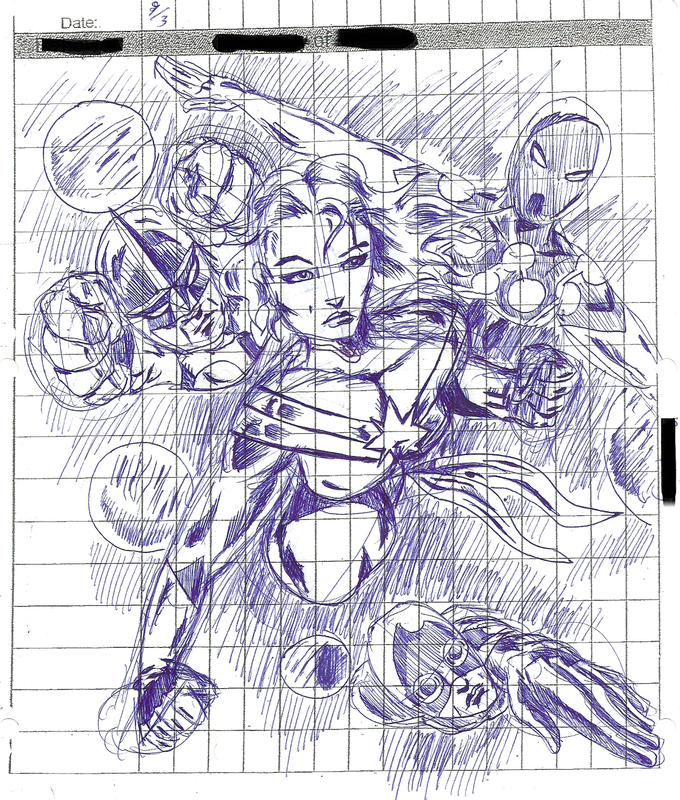 In the middle of the picture is Captain Marvel, who is more or less like the Marvel Comics analog to Wonder Woman. To her left is Nova, who is a space cop who can fly really fast. Also, he has a bucket with a star on it for a helmet. To Capt. Marvel's right is Captain Universe, who has near infinite powers and can literally do almost anything. And finally, at the bottom is Smasher, who is a farm girl who found alien goggles and became a part of an alien guardsman group. It's explanations like these is why I love comics so much. 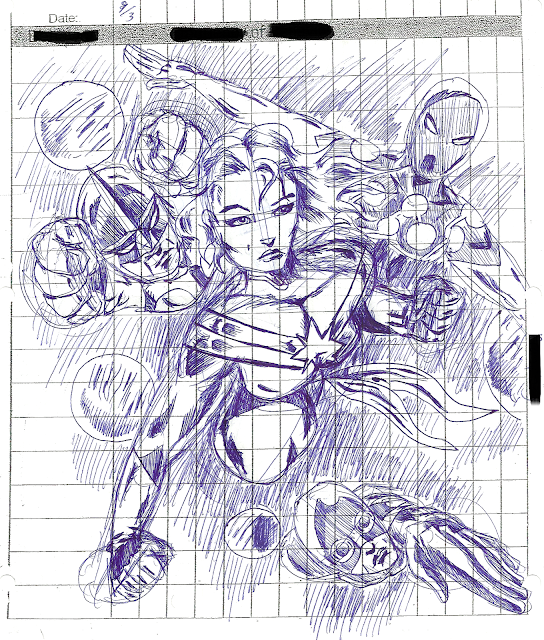 As with any of my drawings that I do at work, it is drawn with a ballpoint pen. And for those of you who ask why are my work drawings always in blue ink, well, it's work policy. Really.